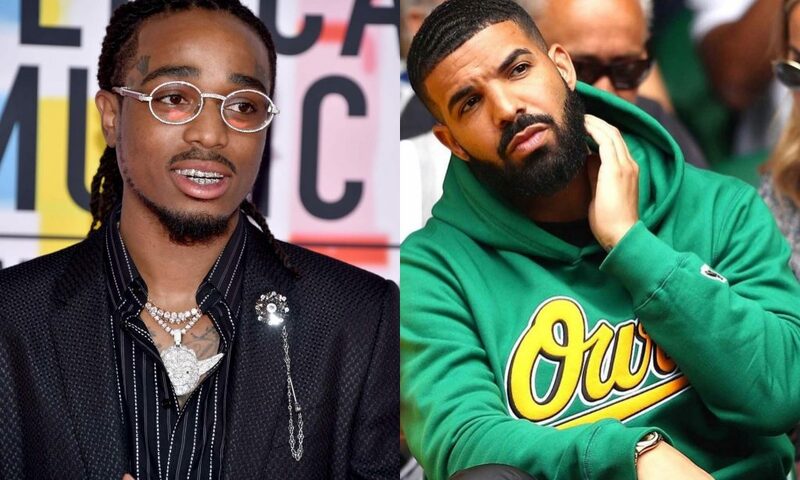 Quavo Invite Drake On His Latest Single Titled “Flip The Switch”. After Quavo several notable singles which he has released in the past which has pave way for him in the American music industry, he has also work on several featuring but his latest song which he featured drake is the talk of the town and his fans have been eagerly waiting to hear what he has in store for them and Quavo who never disappoint has really made the song worth listening to and he also spice it up by featuring drake who is a renowned rapper, the collaboration as expected is a great one. Quavo released his debut solo album which is titled Quavo Huncho and the album was debuted on Thursday night, the song was first played by Dj Khaled’s on his we are the best radio show on beats 1 and boy is it a monster”. His album contains 19 tracks which include Flip the switch and on his other single in the album he also featured well known artist such as Travis Scott, Cardi B, Kid Cudi, Modonna, Lil baby, Offset and Takeoff. His single with Drake which is one of his best song on the album titled Flip the switch is known to have gone viral after few hours of it release.